Who are you to judge the life i live i know i'm not perfect and i don't live to be. but before you start pointing fingers make sure your hands are clean. All I'm writing is just what I feel, that's all. I just keep it almost naked. And probably the words are so bland. He helped to popularize the use of the wah-wah pedal in mainstream rock and he pioneered experimentation with stereophonic phasing effects in rock music recordings. 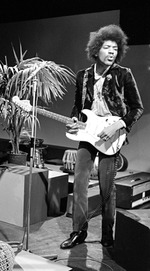 James Marshall "Jimi" Hendrix (born Johnny Allen Hendrix; November 27 1942 – September 18 1970) was an American musician singer and songwriter.